Fernando Alonso was given a Ferrari FF after his victory in the Malaysian GP. After taking the checkered flag back to Italy, A ceremony was held in Ferrari HQ where he was handed the keys to his brand new 4 seater. 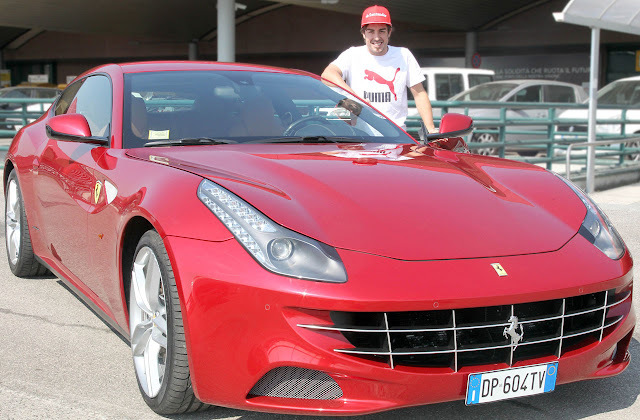 This is not the first car he gets after signing with Ferrari. He got a custom made 458 Italia, Maserati Gran Tourismo Convertible, Abarth 695 Tributo Ferrari And a special edition Grand Cherokee. Now that's what I call a great incentive! What if he wins another GP ? he will get a California ? then a 458 spyder ?